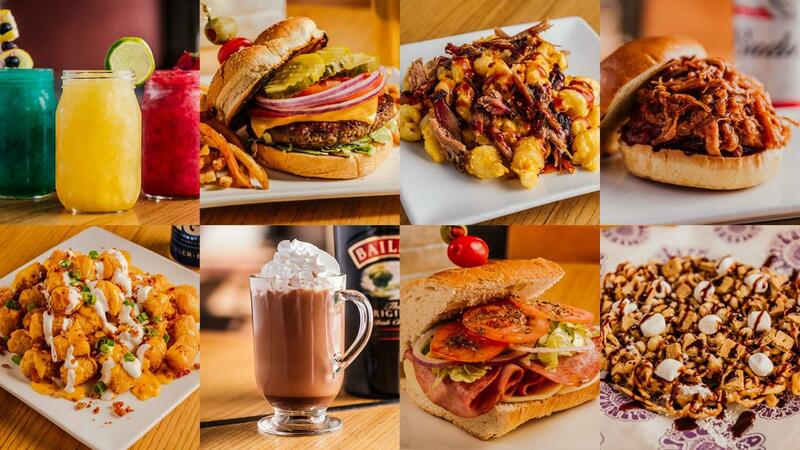 The off-season taste testing is complete, and the Toledo Mud Hens are introducing a wide array of new food and beverage options for fans at Fifth Third Field. Here are the new menu items fans can enjoy during the 2019 season. • Slow smoked chicken, hand pulled and mixed with "We Be Ribs" Award winning BBQ sauce then piled high on a fresh Kaiser bun. • Slow roasted pork, hand pulled and mixed with "We Be Ribs" Award winning BBQ sauce then piled high on a fresh Kaiser bun. • Slow smoked beef brisket, sliced and piled high on a fresh Kaiser bun. • Crispy tater tots toose with bacon, nacho cheese, sour cream and topped with green onions. • Ham, salami, Italian seasoning and provolone cheese piled high on a fresh sub bun; topped with shredded lettuce, sliced tomatoes, and red onions. • Layers of thinly sliced oven roasted turkey breast and cheddar cheese on a fresh sub bun; topped with lettuce, tomatoes, and onions. • A quarter-pound Impossible burger patty (plant-based) with special sauce on a fresh Kaiser bun. American cheese, lettuce, tomato, and pickles available upon request. • Sliced corn beef topped with sauerkraut and swiss cheese on a fresh hoagie bun. • Creamy house-made Mac and Cheese with chucks of tender beef brisket. • Creamy house-made Mac and Cheese with crispy panko topping. • Sweet and salty fresh popped popcorn. • Funnel Cake drizzled with chocolate sauce then topped with graham crackers and mini marshmallows.